According to Kingfisher (1999), the welfare system in New Zealand is increasingly oriented around the need to restructure individuals, rather than systems. This has become more visible recently through the use of financial sanctions. 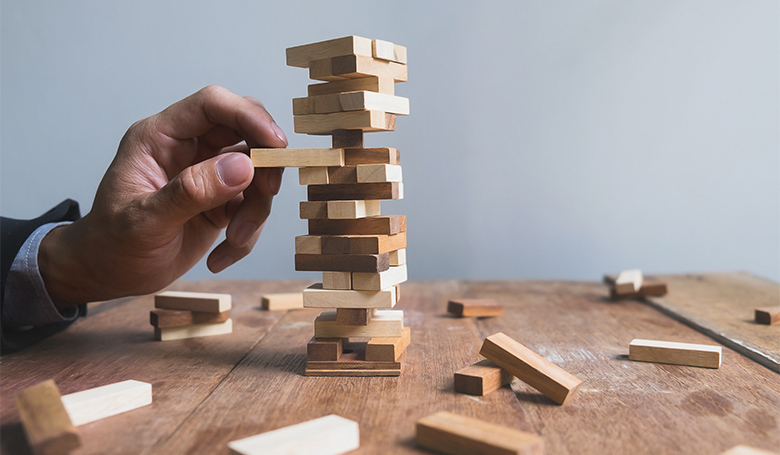 A new sanctions regime was implemented in July 2013 alongside the overhaul of main benefit types, however its impacts have yet to be properly analysed. Sanctions are financial repercussions that occur as a result of non-compliance with the welfare system and obligations that go alongside benefit receipt. Their severity depends on the number or type of incidents, and can mean anything between the loss of half an individual’s benefit or their whole benefit, for up to 13 weeks. Even in households with children, parents can still have their benefit cut in half. While financial sanctions are not new to the welfare system, their frequency has increased markedly since the new 2013 regime. In the 2007/2008 financial year 18,283 clients were given at least one sanction. This has risen to 44,945 clients in the 2015/2016 financial year, despite a decrease in the number of people receiving a main benefit. Of even greater concern is that in 2007/2008, 1,862 clients who had a least one dependent child had a sanction applied – this has now skyrocketed to 15,373. The number of sanctions handed out to sole parents jumped ten-fold in the five years between 2010/2011 and 2015/2016, from 1,503 to 10,813 households. The financial punishment as a result of these various sanctions is administered regardless of what effect this could have on children, highlighting the hollowness of the government’s social investment narrative. Led by Prime Minister Bill English when he was Finance Minister, the government has claimed to be using data to implement targeted resourcing towards vulnerable children and young people. However, according to an OIA released in 2016, the Ministry of Social Development has not done any research into the impacts these sanctions are having, nor do they intend to. Implementing a policy without measuring its impact is bad policy practice and runs contrary to the data-driven social investment approach. These sanctions could be having considerable impacts on the lives and well-being of New Zealanders, compounding the effects of poverty at an individual level, and having enduring effects on families and, in particular, children. The government could find out what these impacts are, but chooses not to. While poverty has long been a part of the welfare system, the increased use of sanctions since 2013 has created a system where further poverty is wielded as a disciplinary measure to punish individuals who do not comply with the mounting obligations and conditions applied by Work and Income. Many of these welfare conditions are tied to work obligations, reflecting the ongoing push to get beneficiaries off the benefit as quickly as possible, rather than encouraging stable long-term employment. One example is the 13 week benefit stand-down that can be handed out if a benefit recipient refuses employment that Work and Income deems suitable for them. During my research into outcomes of former beneficiaries, one participant said that while she was on a benefit she felt pressured to take jobs outside of her area of expertise and that did not have high enough wages to support her and her children. This is concerning given that there is evidence that moving from a benefit to low quality work has detrimental health outcomes, but beneficiaries are not always given a choice about the jobs they are expected to take. Pre-employment drug testing is another category of sanctions. Out of a total of 36,617 referrals to employment that came with a drug testing requirement in 2016, only 104 sanctions were applied for failing to comply. Yet this type of sanctioning is still used to stigmatise beneficiaries. For example, a headline in 2015 read ‘Beneficiaries increasingly failing drug tests, numbers show’, however the article went on to state 2.6 people per week had not complied with drug tests, up from 2.3. These types of headlines suggest there is a big problem with beneficiaries and drugs, reinforcing, for the public, the usefulness of sanctions and testing; a situation not borne out by the data. Another example of the use of sanctions is the weekly reduction of an individual’s benefit if they cannot or will not name the other parent, generally the father, of their child. These sanctions are employed differently to those discussed above, however they continue to reflect the punishment of those acting outside the norms deemed to be acceptable by the state. These sanctions consist of an ongoing, indefinite benefit reduction of between $22 to $28. According to research done by Auckland Action Against Poverty (AAAP), who have recently run a campaign to remove these sanctions from the legislation, 13,616 parents have this applied, affecting around 17,000 children. There is no evidence that this policy prompts the father to pay child support, which is claimed to be the intent, but serves only to directly punish the mother and child. It is also important to note that parents on a benefit do not directly receive any child support as it is given directly to the state. While the law removes the obligation to name the other parent if there is a fear of violence or if the child is the result of sexual assault, the actual application of this sanction has not always reflected this. An example of this came out in the media earlier this year when a woman who had a child after she was sexually assaulted was sanctioned under this policy by Work and Income for two and a half years, despite the assault being before the Courts. It was only when the media made enquiries that the matter was resolved. The use of these sanctions and those tied to work obligations highlights the dichotomy of both the withdrawal and encroachment of the state on the lives on individuals. On the one hand, we see a lack of research or insight into how further financial poverty is affecting households. Yet on the other we can see a state that is stringently attempting to control the behaviour of certain individuals. The increasing application of financial sanctions furthers Kingfisher’s findings (1999) that our welfare system is being used to restructure individuals and ensure they comply with state-sanctioned obligations and conditions, irrespective of what impact this may be having on already struggling individuals and families. 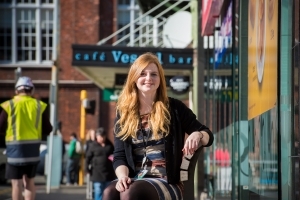 Alicia Sudden has recently completed a Masters in Development Studies which included a thesis that analysed the current social development landscape in New Zealand. Her research was strongly focused on ground-up data gathering, drawing on experiences, outcomes and insights from former and current beneficiaries. Her research interests are around public perceptions of poverty and the benefit in New Zealand, the welfare system, and the impact wider economic and policy changes have on individuals and families. She is currently working in the political sphere, and is keen to be a part of working towards better social security in New Zealand.